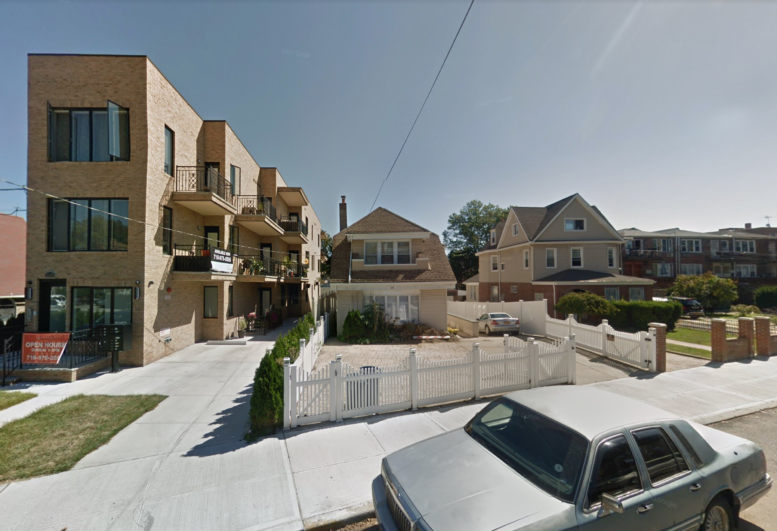 Permits have been filed for a three-story residential building at 2653 East 23rd Street, in Sheepshead Bay, Brooklyn. The site is seven blocks away from the Sheepshead Bay Subway Station, serviced by the B and Q trains. Rafael Rahamim of Savion Construction Inc will be responsible for the development. The 25-foot tall structure will yield 9,100 square feet of residential space. A total of 11 apartments will be produced, averaging 827 square feet apiece, indicating rentals. Three units will occupy the ground floor, with four units on the second and third floor each. Seven parking spaces will be created on-site. Demolition permits were filed for the existing detached structure in early December. The estimated completion date has not been announced. 1 Comment on "Permits Filed for 2653 East 23rd Street, Sheepshead Bay, Brooklyn"